The Starry Night Quilt Kit is fat eighth friendly and features Creekside by Sherri and Chelsi for Moda. 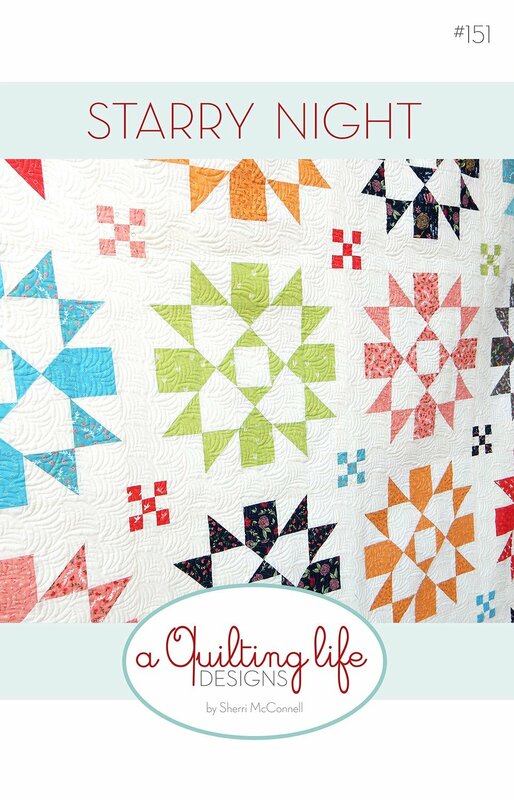 The Starry Night Quilt Kit includes the pattern by A Quilting Life Designs and the fabric for the top and binding. The finished quilt measures 76" x 76".